Always check nameplate information before designing protective devices, wiring and switch gear. Engineering ToolBox, (2009). Electrical Motors - Full Load Amps. 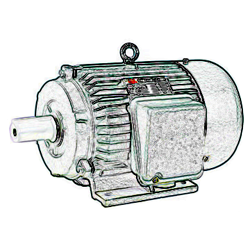 [online] Available at: https://www.engineeringtoolbox.com/elctrical-motor-full-load-current-d_1499.html [Accessed Day Mo. Year].